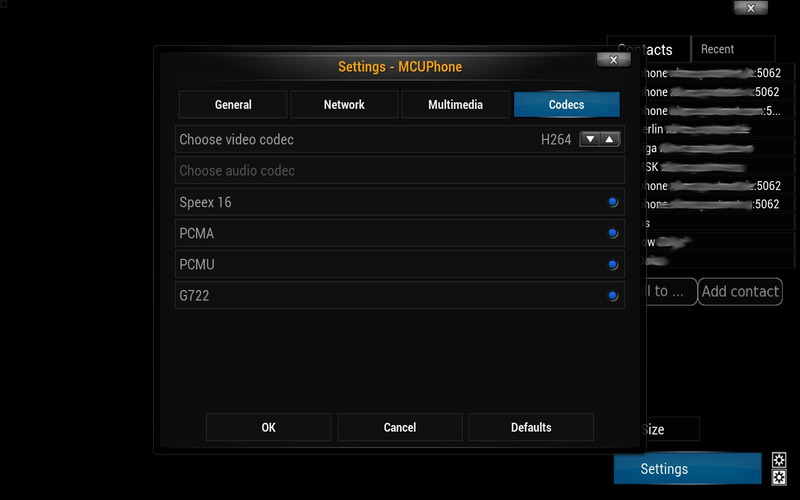 MCUphone (MCU - Multipoint Control Unit) - SIP video phone with support for H.264 and VP8 codecs. 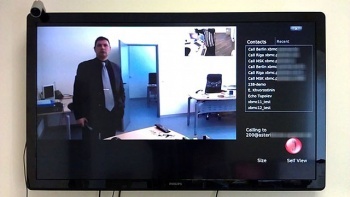 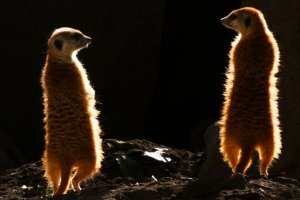 When used with a modern HD TV set and a Full HD camera allows to connect two or more users in a audio/video conference. 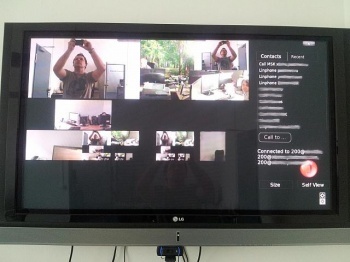 Conference peers can see each other in selectable layouts: 1+2 or 2x2 among many others. 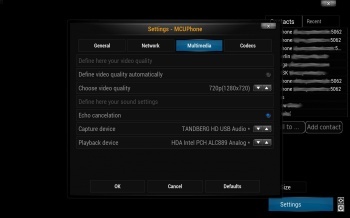 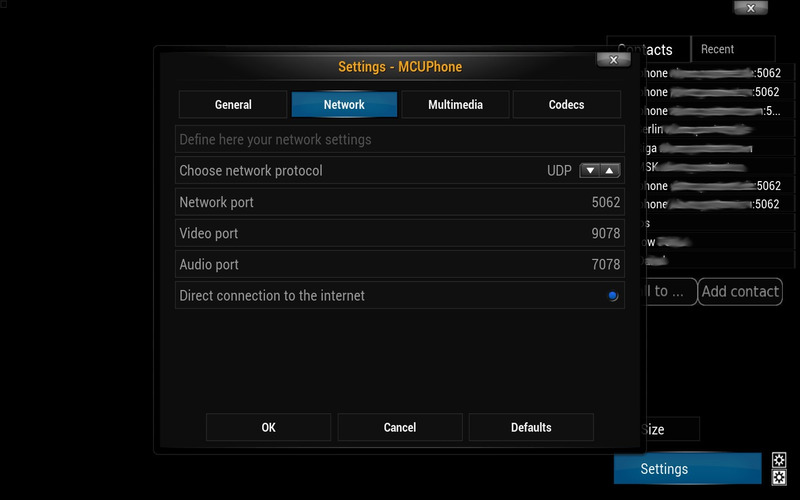 Video mixer function is undertaken by video phone itself allowing to connect any SIP video peers. It is supplied as a kit consisting of a Shuttle PC with software preinstalled and a Tanberg Precision HD camera. 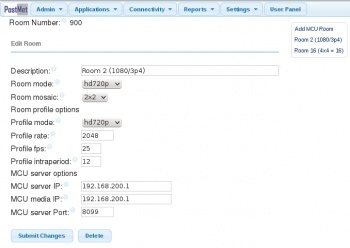 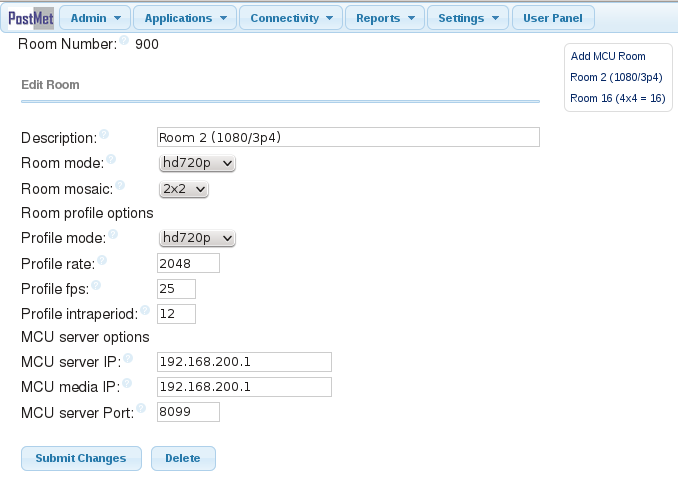 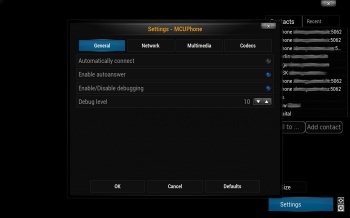 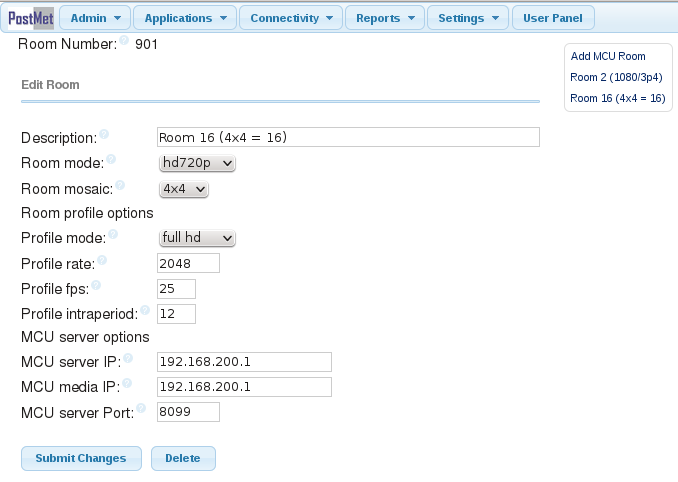 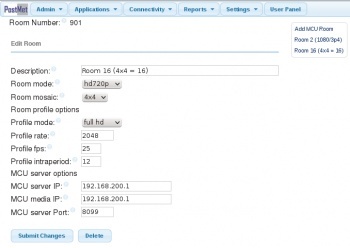 chan_mcu is a channel for Asterisk and a management interface: MCU rooms for FreePBX. 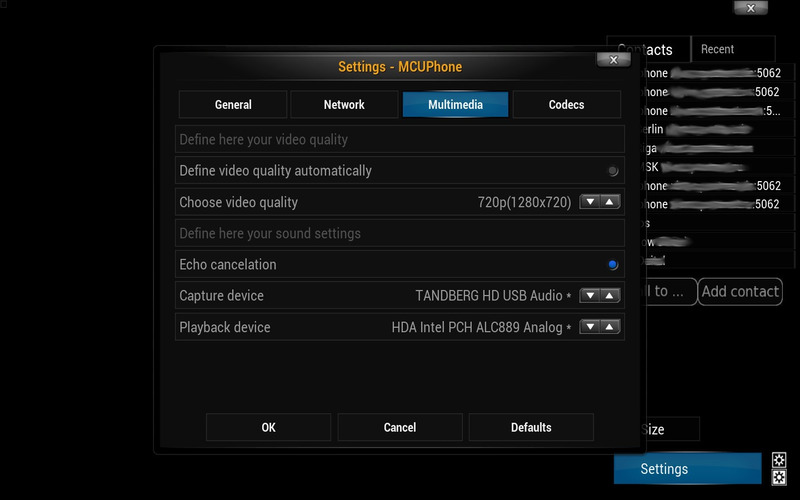 It allows to have a centralized video mixer based on Asterisk which is scalable. Any SIP peer with video support(H.264) can connect to and be a part of a video conference with grid layout such as: 3x2, 3x3, 4x4 - up to 16 peers!